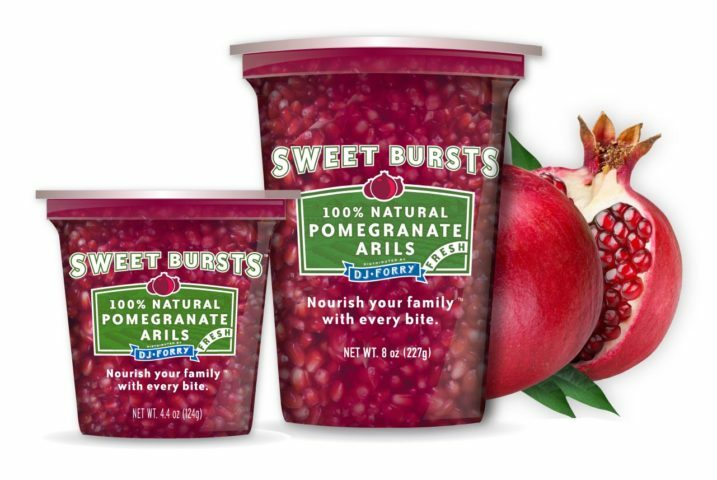 Sweet Bursts All Natural Fresh Pomegranate Arils are a great snack for everyone in your family. If you like sweet, crunchy, juicy snacks literally bursting with flavor then you will love Sweet Bursts. Sweet Bursts are fantastic right out of the package or as an ingredient in your favorite dish. Enjoy them now and later with our handy two separate serving package. Bursting with vitamin C, potassium and antioxidants in every bite, you have a snack you can feel great about. Available Year Round! We believe you should be able to nourish your family with great tasting healthful Sweet Bursts any time you like, so when our California farming partners are finished for the year, we work with trusted partners in Chili and Peru to bring you Sweet Bursts when you want them. So whenever you are looking for great healthy snacks, Sweet Bursts will be there. Look for Sweet Bursts in your local supermarket produce section. How do you increase your category sales without investing gross profit dollars to do so? Through offering your customers our Forry’s Finest Standup Handled Pouches. Consumers today are time stressed and are looking for convenience to help them make it through the day. Our stand up pouches are the perfect solution for your customers and your bottom line. The facts are in and merchandising seasonal fruits like grapes, cherries, and stone fruit in stand up pouches increases sales without having to reduce retails to do so! Grab your sales by the handle and add our stand up pouches to your offering today! Passion is hard to define, but you know it when you see it. We believe every great tasting piece of fruit starts with a grower that has a passion for growing great fruit. Passion shows in the way they cultivate the land and in the way they harvest and handle their fruit to ensure you and your family enjoy every piece. From Passion flows Innovation. Beyond the time honored growing practices that define a grower of consistently great produce, what new ideas might yield better tasting, better for you fruit? Our farming partners are always asking, "What if?" All of our farming partners believe that safe to eat produce is the best produce. Our partners follow strict protocols through adhering to Good Agricultural Practices (GAP’s), 3rd party safety audits, and Produce Industry Traceability Initiatives (PTI’s) to ensure that we know where every piece of fruit we sell comes from.